"Through sculpture, I try to create something unique out of an ordinary object," says Noah, “My goal, and reason for ever making art is to raise awareness of the importance of the creative process. This drives me to create work that challenges perception and inspires curiosity.” To begin with, he removes the outer paint / commercial sticker of these cans and exposes the shiny aluminium body. 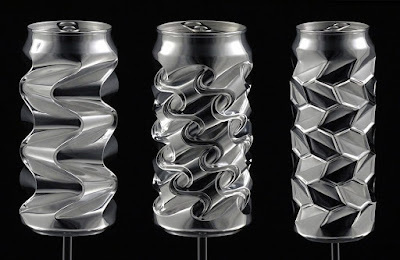 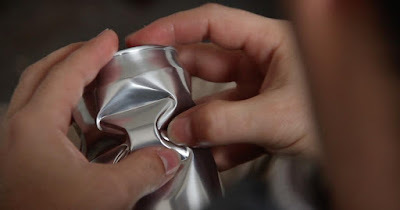 He then creates soft dents in the can through a trial and error process, but with a lot of practice, sees patterns and designs in the “ordinary consumer item”. 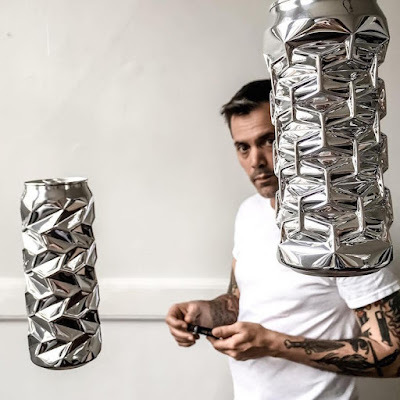 Noah is a world-renowned artist with his works exhibited in The US, Italy, China and Switzerland. 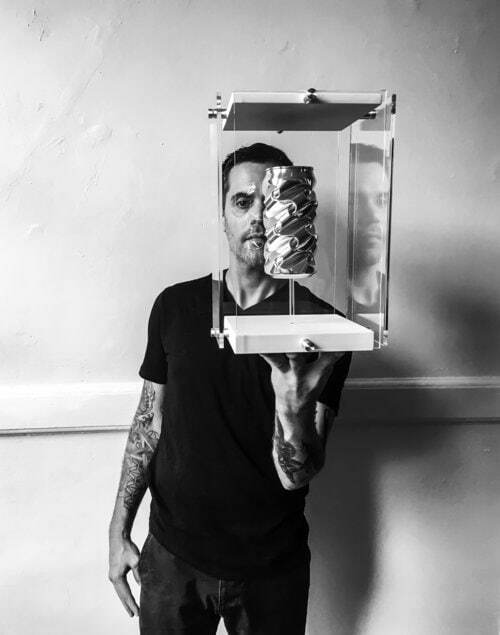 His works can be seen here.